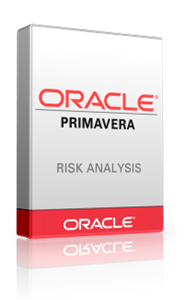 Primavera Risk Analysis is a full lifecycle risk analysis solution that integrates cost and schedule risks. It provides a comprehensive means of determining confidence levels for project success, together with quick and easy techniques for determining contingency and risk response plans. You'll have an objective view of mitigation plans to account for cost and schedule uncertainty, as well as analyzing the cost effectiveness of risk response plans. Combined, these form the basis of a 'risk adjusted schedule,' which today is becoming the norm within the planning and scheduling process. Primavera Risk Analysis helps project-driven organizations ensure that mission-critical projects come in on time and on budget.